Businesses can plateau, stall, or stagnate…without the owners or key executives even realizing it. The purpose of The Sticking Point Solution is to help entrepreneurs and executives recognize the ways in which their businesses may be stuck, and to then give them tools for getting unstuck and enjoying exponential growth. To achieve this, Jay will help you to identify the nine “sticking points” that keep entrepreneurs and executives alike grinding just to survive, instead of growing and thriving. Unlocking that true business potential and diagnosing the specific issues that each reader/business owner/entrepreneur/employee faces is the mission of this book. The results: freedom from stagnation and stalling; new levels of profitability and success; and a much greater sense of control and pleasure from running the enterprise. 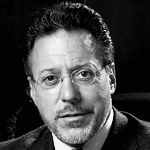 As founder and CEO of Abraham Group, Inc. in Los Angeles, California, Jay Abraham has spent the last twenty-five years solving problems and significantly increasing the bottom lines for over 10,000 clients in more than 400 industries worldwide. Jay has won high praise as a marketing genius in USA Today, the New York Times, the Los Angeles Times, Washington Post, San Francisco Chronicle, OTC Stock Journal, National Underwriter, Entrepreneur, Success, Inc., and many other publications. Jay’s clients range from business royalty to small business owners, many of whom acknowledge that his efforts and ideas have led to an increase in profits ranging into the millions of dollars. He lives in Los Angeles.